An accumulation of excess fat under the chin and in the upper regions of the neck – often referred to as a “double chin” – is a very common condition, even in people who are of a healthy weight. In most cases, surgery was the only way to effectively resolve the issue; however, a revolutionary new treatment is changing that. 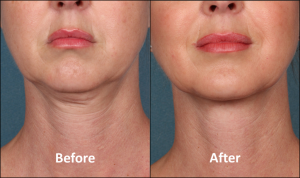 KYBELLA™ is a non-surgical, injectable procedure designed to dissolve fat that has collected under the chin. Approved by the U.S. Food and Drug Administration for patients over 18, KYBELLA™ can be an ideal solution for individuals looking to reduce the appearance of a double chin without the need for excessive downtime. KYBELLA™ is the first and only non-surgical treatment approved by the FDA to minimize submental fullness (excess fat accumulation under the chin). The treatment does not involve surgery of any kind and it is often a quick, in-office procedure. KYBELLA™ can dramatically reduce excess fat in the area and enhance your facial contours with beautiful results. There is typically no downtime required after KYBELLA™, and the results are often long-lasting – potentially even permanent. Patients who have a double chin due to loose, inelastic skin rather than fat may not be the best candidates for this procedure. 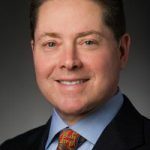 Once our plastic surgeon, James E. Vogel, MD, meets with you for an initial consultation, he can evaluate your needs and help you determine whether KYBELLA™ or an alternative treatment option, like liposuction, is best for your goals. 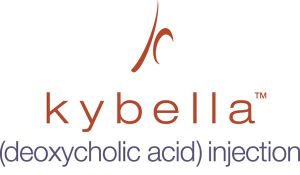 The KYBELLA™ procedure involves the injection of a solution composed of deoxycholic acid – a molecule natural to the human body that helps in the breakdown of dietary fat. 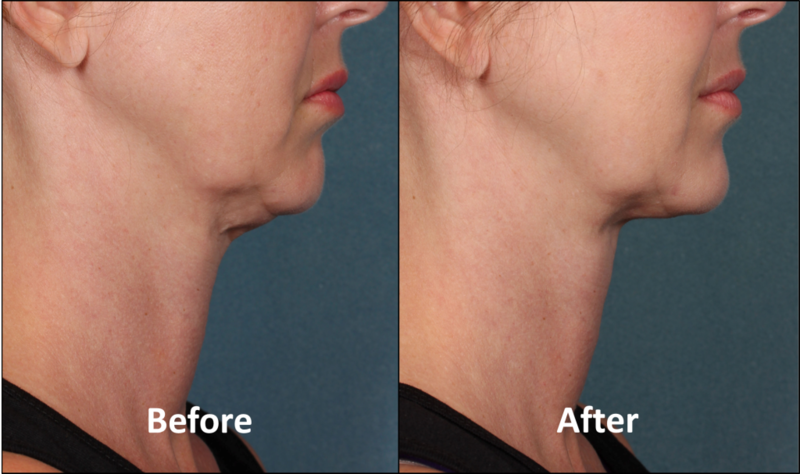 The KYBELLA™ solution is designed to eliminate excess fat cells that have collected under the chin. After the injection, the excess fat cells in the targeted areas will be filtered out of the body through natural metabolic processes. The injections are made with a very fine needle, and the entire procedure usually takes less than 30 minutes to complete. For some patients, it may take two to four treatment sessions to achieve optimal results. To learn more about this exciting treatment, or to schedule a consultation with Dr. Vogel, please contact us today.